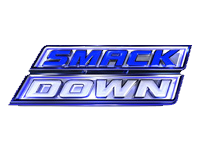 The 5th August 2011 episode of Friday Night SmackDown! kicks off with Sheamus taking on The Great Khali (accompanied by Jinder Mahal) in a match which sees Sheamus get the victory when he hits Khali with a Brogue Kick to the head for the 3-count. Next, AJ is pitted against Natalya in a match which sees Natalya get the victory when she makes AJ tap out to the Sharpshooter. Afterwards, Natalya attacks AJ and says that she is with Beth Phoenix, and that the days of the cute, perky little princesses are over. Matt Striker interviews Randy Orton about his actions last week and his match with Christian at SummerSlam, and a video recapping Daniel Bryan forcing Wade Barrett to tap out to the LeBelle Lock last week. Now, Tyson Kidd goes against Daniel Bryan (who is sporting new music) in a match which has Barrett joining commentary, and which sees Bryan get the victory when he makes Kidd tap out to the guillotine choke. Next up, Zack Ryder (Assistant to the SmackDown! General Manger) makes his way to the ring and says talks about how it is his first “State of the Showski Address”, when Ezekiel Jackson’s music hits and he makes his way to the ring. Jackson says he’s not out there to attack him Ryder due to him putting him in a handicap match against Cody Rhodes and Ted DiBiase last week, but rather to discuss it, as he then asks him why he put him in that match. Ryder says he thought that they’d agreed to make it a handicap match, but Jackson seems to think different, but Cody Rhodes’ music hits and he makes his way out with Ted DiBiase. Rhodes says that he believes the term is “sour grapes”, and he says that as a champion that conduct is as unbecoming as some of the faces he is witnessing right now. He says that Jackson doesn’t deserve to be a champion, and that when he loses that makes the Intercontinental Championship loses too, so he suggests that if he were to beat Jackson for the Intercontinental Championship, he would resurrect it’s image, just like he resurrected the career of his friend Ted DiBiase. Jackson says that Rhodes hasn’t resurrected anything and is using DiBiase, and he tells DiBiase that he is being used, which he knows something about as the same happened to him with Wade Barrett in The Corre, and he says that there’s nothing greater than freedom. Cody Rhodes says that Ted DiBiase wants to associate with him as he’s associating himself with a future, and it pains him that Jackson’s ignorance is turning the Intercontinental Championship into a memento of mediocrity, and he also points out that DiBiase has free will. He suggests that DiBiase go to the ring and beat the champ out of Jackson, but reiterates that it is up to him and the “Assistant General Manager”, with Ryder saying that it’s cool with him. Teddy Long’s music hits and he makes his way out onto the stage as he tells Ryder that he’s told him time after time that he is not the Assistant General Manager, but simply his assistant. Instead of making a match, Long says that Zack Ryder will be in a match against Ezekiel Jackson, with Ted DiBiase and Cody Rhodes banned from ringside. Jackson gets the victory when he forces Ryder to tap out to the torture rack. Backstage, Long is approached by a black-haired female that introduces herself as Aksana (who some may remember as the Lithuanian Blonde from NXT Season 3). She wants to talk “business” with him, but isn’t happy about being given the office number, so asks for his personal one and asks if she can call him any time, to which he agrees to both. Back in the arena, Vladimir Kozlov takes on Mark Henry in a match which sees Henry get the victory when he hits Kozlov with the World’s Strongest Slam for the 3-count. Afterwards, he decides to continue the punishment as he gets a steel chair from ringside and places it around Kozlov’s ankle before hitting a knee-drop from the ropes onto it. Sheamus (Henry’s opponent at SummerSlam) hits the ring with a steel chair, quickly causing Henry to bail out and ignore Sheamus’ calls for him to re-enter the ring. Backstage when Todd Grisham interviews him, Sheamus says that Henry should reconsider if he thinks that he’s going to attack him like he has others over the past few weeks. Now, David Otunga, Michael McGillicutty, and JTG are pitted against Trent Barreta and the Usos in a six-man tag team match which sees Otunga and McGillicutty get the victory for their team when they hit a double-team move combining a backbreaker and diving fist-drop from the second rope for the 3-count. After Johnny Curtis says that the writing is on the wall and then showing a chalkboard saying that he will début on SmackDown! next week, a Raw Rebound video recaps the events from Monday involving Triple H, CM Punk, and John Cena (click here for our Raw report). After Christian gives his thoughts on his match with Randy Orton at SummerSlam being No Holds Barred, he says words to the effect of there being a conspiracy, which captures the attention of R-Truth as he says that he sounds just like The Miz did on Monday. He says not to let the Little Jimmy’s fool him, as he’s a good R-Truth, and like Triple H hurt Christian last week, Truth is going to put a hurting on Orton for what he did to him last week, and that Orton is going to get got, leaving as Christian wonders who the hell “Little Jimmy” is. Randy Orton and John Morrison go against Christian and R-Truth in a tag team match which sees Christian get the victory for his team when he takes advantage of Orton’s distracted state after hitting Truth with an RKO, by grabbing Orton and hitting him with the Killswitch for the 3-count. Christian celebrates on the ramp as SmackDown! goes off the air.